50옴 RF 케이블의 SMA 단자 연결시 사용하는 SMA 연장 커넥터 입니다. 범용적으로 가장 많이 사용하는 SMA 연장 커넥터 입니다. SMA is an acronym for SubMiniature version A and was developed in the 1960's. It uses a threaded interface. 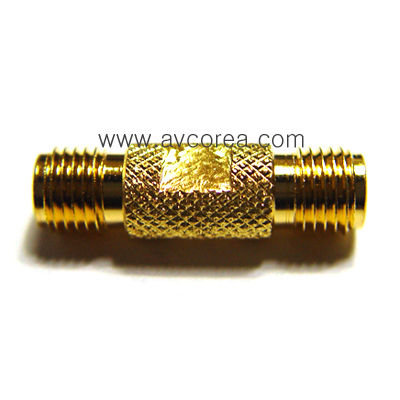 50 Ω SMA connectors are semi-precision, subminiature units that provide excellent electrical performance from DC to 18 GHz. 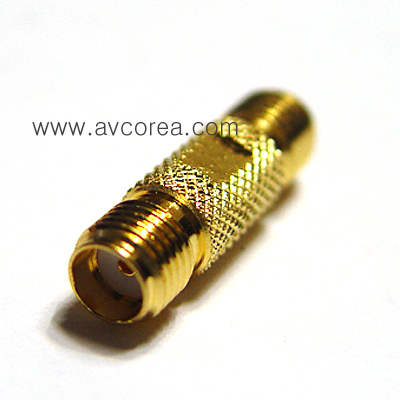 These high-performance connectors are compact in size and mechanically have outstanding durability. 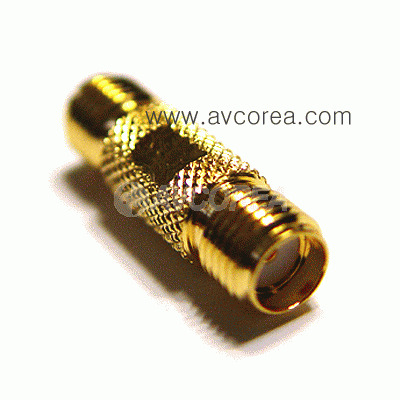 For phase array radar, test equipment, ILS landing systems and other instrumentation using phase matching techniques, these SMA connectors for semi-rigid coaxial cables and the SMA Plug-to-Jack adapter offer a precise and simple means of phase adjustment for microwave devices. Built in accordance with MIL-C-39012 and CECC 22110/111, SMA connectors can be mated with all connectors that meet these spec mating diameters regardless of manufacturer. SMA is available both in Standard and Reverse Polarity. Reverse polarity is a keying system accomplished with a reverse interface, and ensures that reverse polarity interface connectors do not mate with standard interface connectors. Amphenol accomplishes this by inserting female contacts into plugs and male contacts into jacks. 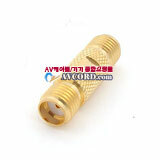 Other manufacturers may use reverse threading to accomplish reverse polarity keying.